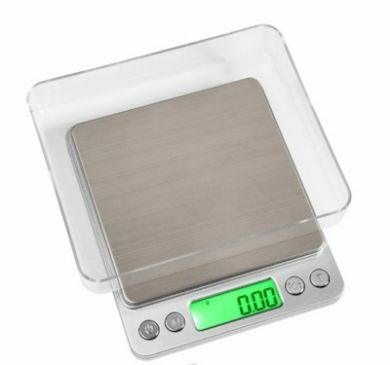 0.01g - 500g Digital Scales with large stainless steel platform & LCD display. 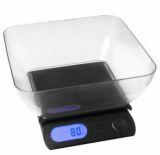 This is a small countertop scale - ideal if you don't have a lot of space in your kitchen. Complete with 7mm deep + 20mm deep measuring trays. Dimensions: 125mm x 105mm x 18mm. Platform size: 100mm x 100mm. Auto power off: 3 mins. Powered by: 2 x AAA batteries. 1 x 500g x 0.01g LCD Digital Pocket Scales.